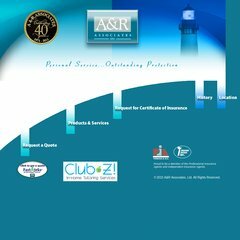 a-r-associates.com Design 3 - A&R Associates, Insurance Agents and Brokers, Business ..
A-r-associates.com's server IP number is 63.164.139.46. Its 2 nameservers are ns2.cws.net, and ns1.cws.net. It is hosted by Corporate Web Services Inc (Minnesota, Rochester,) using Apache/1 web server. PING www. (63.164.139.46) 56(84) bytes of data. A ping to the server is timed at 49.2 ms.